If you decide for the first time to dive with an aqualung and are not very confident in your abilities, but you are attracted by the underwater beauty of the seas and the career of Jacques-Yves Cousteau, the most psychologically comfortable, safe and at the same time fascinating way will be diving from the white beach of one of the most beautiful in Asia the private island of Nangyuan. Your personal dive instructor will pick you up from the hotel and accompany the entire trip (from the hotel to the hotel). On a comfortable high-speed catamaran from Lomprayah, you will arrive in a small company of like-minded people (or just your group) in an hour and a half by an incredible beauty island, which actually consists of three islands connected by a sand strip (called the northern, middle and southern islands). 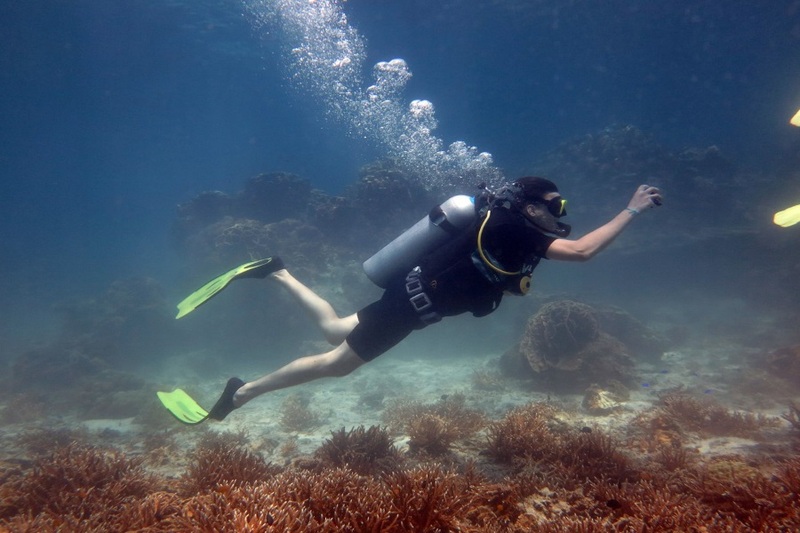 The coastal waters of Koh Nang Yuan are crystal clear, the underwater world is rich and diverse (these are the best places for diving and snorkeling in the South China Sea), while coral reefs are still alive. 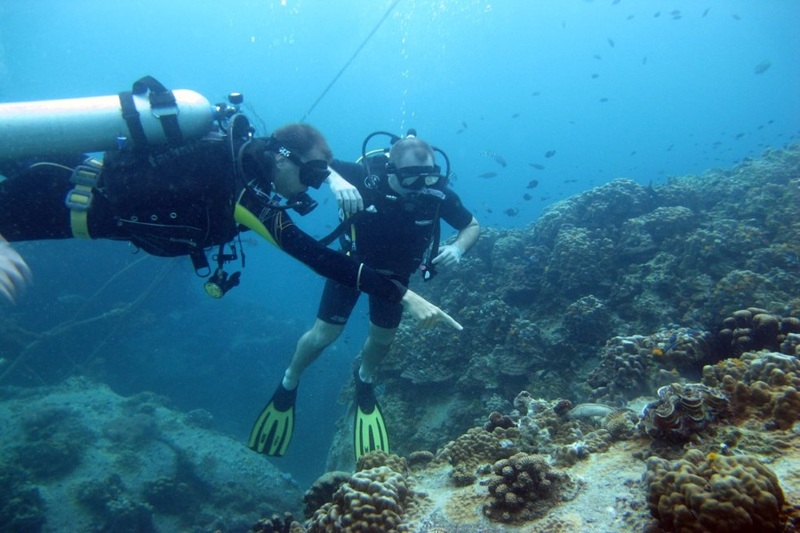 Under the guidance of an experienced dive instructor, you will make two dives from the shore on the dive site “Japanese Gardens”. 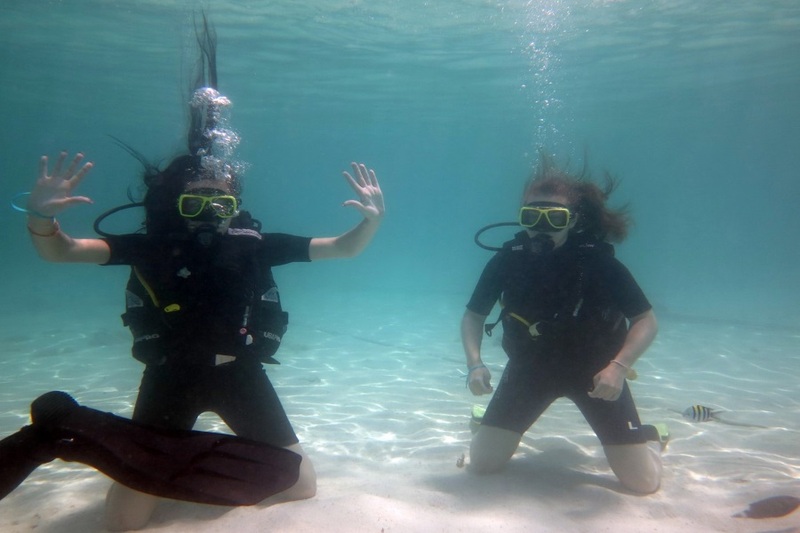 Dives will be comfortable even in bad weather when the sea is unsettled. In such weather, it is very difficult to force yourself to dive “into the waves” from a slow boat or speedboat, and by refusing to dive you risk becoming a “hostage” of a rocking boat for long hours. If the weather is good and you want to make one or even both dives from a diving boat, then we will be happy to give you this opportunity. Between two dives, you will be served a delicious lunch in a restaurant on the island. 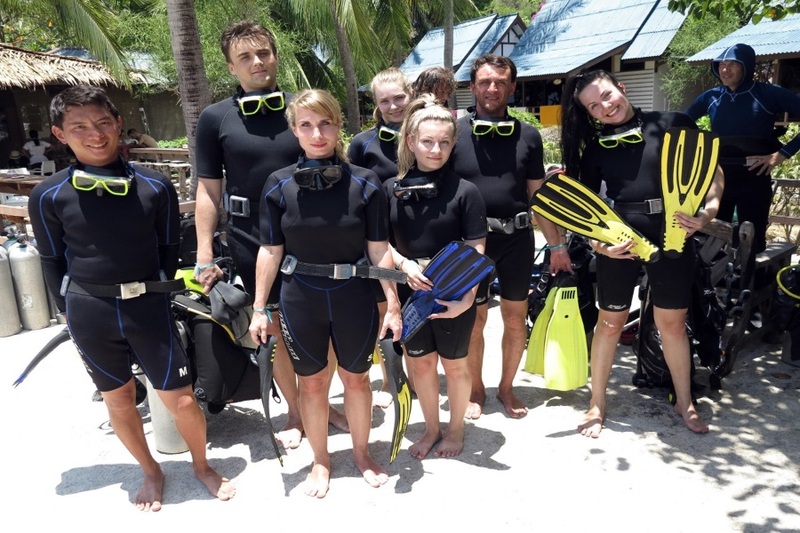 This tour is very comfortable for families when not all family members want or can dive. They can have a great time on one of the most beautiful beaches of the Gulf of Thailand, swimming, sunbathing and swimming with a mask and snorkel. You can climb to the viewpoint and make one of the most beautiful pictures of your vacation. At 15.00 on a speedboat company Lomprayah, accompanied by your instructor, you go back to about. Koh Samui. Approximately at 16.30-16.40, you arrive at the Pralarn pier on Maenam, from where your transfer to the hotel will be arranged. Reviews for "Diving from the beach on Koh Nang Yuan"